Hailed as “a Bay Area legend” by Tampa Bay Business Journal, Cameron Dilley is renowned for the power, originality and effectiveness of his creative concepts. He has operated the award-winning creative services and consulting firm, cameron dilley/creative since 1994 (cam@dilleycreative.com), serving as a consulting Creative Director and strategic marketing, creative and copywriting resource to an array of clients and ad agencies. Cameron began a career in marketing at Louis Benito Advertising (now Fahlgren Benito) in 1981, where his award-winning creative for national brands included MacDonald’s, Cadillac and Publix Supermarkets. He quickly rose from copywriter to VP/Associate Creative Director. In 1992, Cameron joined Earle Palmer Brown as Senior Copywriter on behalf of clients like the St. Petersburg-Clearwater Convention & Visitors Bureau and the Florida Lottery. In 1994, the agency's award-winning lottery campaigns were ranked as the "most memorable advertising in the state" (Adweek 9/29/94). The work also won “Best of Show” honors at Tampa Bay’s 1993 and 1994 ADDYS. From 2001–2004, Cameron was Director of Creative Services for Xposure Group a firm specializing in branding, marketing, public relations and investor relations. From 2005 to present, he has served as Creative Director for United Landmark Associates, one of Tampa Bay's leading marketing firms. A Michigan native, Cameron arrived in Tampa in 1978 to help found community radio station, WMNF 88.5 FM (www.wmnf.org), where he has hosted a Friday morning program of folk, rhythm and roots music since 1979. In a 1980-81 collaboration with WEDU-TV (PBS) and the Florida Division of Cultural Affairs, Cameron wrote and produced the internationally syndicated jazz television series, Orange Blossom Bebop, featuring Florida-based jazz legends such as Nat Adderley and Flip Phillips. He has also written music criticism and reviews for Players magazine and the St. Petersburg Times. Cameron's work has received honors from the CLIOS; New York International Film Festival; New York Art Director's Annuals; PRINT Regional Design Annuals; ShowSouth (Gold); Adweek magazine; OBIE's; ADDY's; Creative Club of Tampa Bay; Florida Magazine Association “Charlie” Awards for Best Ads; and dozens of the real estate industry’s Excel Awards. Cameron holds a Bachelor’s Degree in Philosophy from Thomas Jefferson College at Grand Valley State University in Michigan. 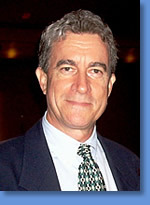 He was elected President of the Creative Club of Tampa Bay in 1995 and re-elected in 1996. He is married to Tampa City Councilwoman, Mary Mulhern. The couple resides in South Tampa. They have two children, Isabel and Miles, and an intrepid miniature poodle named Scout.